Afraid you do not know how to flip a house without losing too much money instead of making it? There are some tricks to these real estate investments that can help keep your budget from turning upside down. House flipping is the art of purchasing a home at one price and then reselling it in the future for a higher price. The difference in the purchase price and eventual sale price is the profit for the investor. There is some risk involved, since there is never a guarantee that the investor will be able to resell the property at a reasonable price to secure a profit. 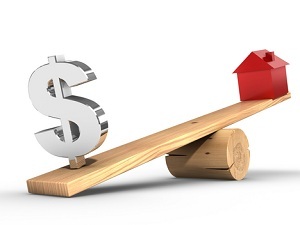 If the market turns for the worse while an investor is holding a property, it could turn into a long hold situation during which the investor has to pay all of the upkeep on the property. Many house flipping projects involve renovating the home so that it is worth much more at the time of resale. This is typically done because the low purchase price on the property was a reflection of the condition of the property. The repairs are needed to get the property into presentable condition for buyers who want to live in the home personally. In this case, the profit for the investor is the final selling price of the property minus the initial purchase investment and the amount spent on renovations. This is where the risk escalates, since spending too much on renovation could cut out all profit in the end. You never know when extensive damages will be uncovered unexpectedly during the renovation phase, so there is always risk here. Now that you understand where the risks are in flipping houses, consider some tips on investing with the least amount of risk possible. The biggest mistake new investors often make is to underestimate when establishing a budget for the flip. You have to do complete research to determine how much money may be needed to renovate the property, but you should set your budget higher than what you actually expect it to cost. If you barely have enough money to cover the initial budget, what are you going to do if unexpected damage is found and you need more money to fix it? Don't put yourself in that situation. Be very realistic when it comes to estimating what the repairs will cost, and then leave some wiggle room in the budget. Very rarely will you come out under budget, but there will always be huge risk of going over budget. Acknowledge this from the start and make sure you can over spend a little and still have a good chance of turning a profit. Most people don't really understand the reality of how to flip a house. Most house flips are not as luxurious as people imagine. You have to stick to your budget by purchasing supplies that fit with the cost of the home. A house to eventually sell for $100,000 shouldn't have top-of-the-line appliances and materials, because that drives your costs up too much for the final selling price. Only spend what you have to in order to create a home worthy of the final selling price. If you want to create a million dollar home, you will have to invest in a home that can sell for a million! Keep your head on straight and negotiate that final selling price and your available budget. There are many illegal practices in the flipping industry, such as purchasing dishonest appraisals. No matter how tempting these deals may seem, don't get involved. Stay straight and establish yourself as an honorable businessman. There is tremendous risk to your reputation and financial stability if you are caught doing shady business deals.